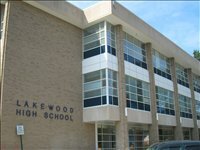 Over the past years at Lakewood High School, the rules had seemed to become less strict. From dress code, to piercings, to hair coloring–all are now allowed. However, last school year, things took a turn; every tardy resulted in a detention, no phones or headphones in the hallway, and students were not allowed to go out to their cars any longer. Then, on Friday, October 19th, Principal Mark Walter took the students of Lakewood High by surprise; In a video announcement shown during eighth period, Mr. Walter proclaimed that there are now phones allowed in hallways, students are permitted to wear one headphone, and detentions will only be given after five tardies. For a school that had at one time been so strict on such rules, it was uncharacteristic for them to be changed so suddenly. Although it was seen as a surprise—no students are complaining, for it makes school more enjoyable for most. Was this loosening up a form of compromise the administration put into place for something much bigger about to come? Regardless of whether or not the students of Lakewood High like the new rule, it is clear that the new administration is trying their best to make the school better and encourage a serious education.